Apple Sales and Leasing Four Points is pleased to be currently offering this 2016 Audi Q5 Premium Plus with 22,141mi. When you purchase a vehicle with the CARFAX Buyback Guarantee, you're getting what you paid for. The Audi Q5 Premium Plus offers a fair amount of utility thanks to its advanced features and unique styling. It's also quite sporty, and injects an ample amount of handling chutzpah into the ridin'-high body of a family-friendly SUV. You deserve a vehicle designed for higher expectations. 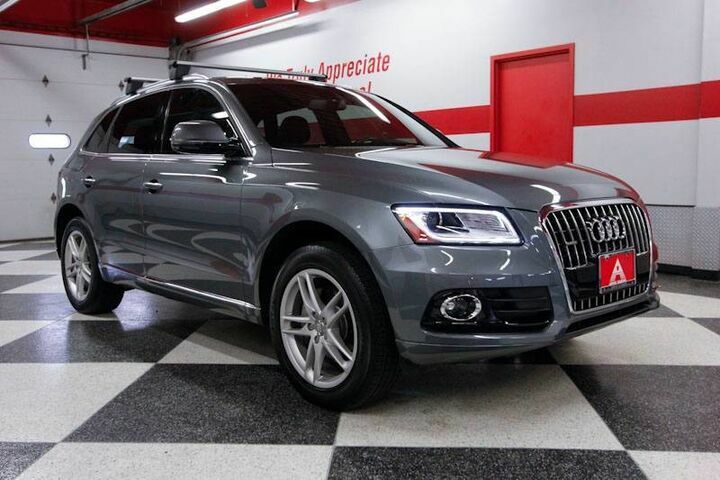 This Audi Q5 delivers with a luxurious, well-appointed interior and world-class engineering. This vehicle has an added performance bonus: AWD. It improves handling on those winding back roads, and gives you added safety and control when driving through wet and snow weather conditions.